Gabriel Hardman is an artist with a very fluid and powerful drawing style. And that carries over to his writing as well. 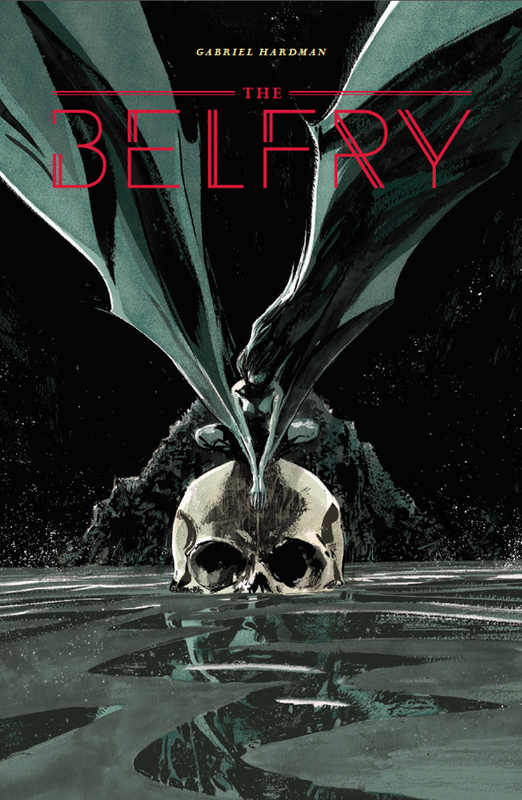 His latest one-shot comic for Image Comics is a perfect case in point, entitled, THE BELFRY, a trippy surreal vampire jaunt. You could say this is how truly engaged cartoonists dream, or have nightmares: a sequence of seemingly random events that creep up on you to unveil some unnerving results. 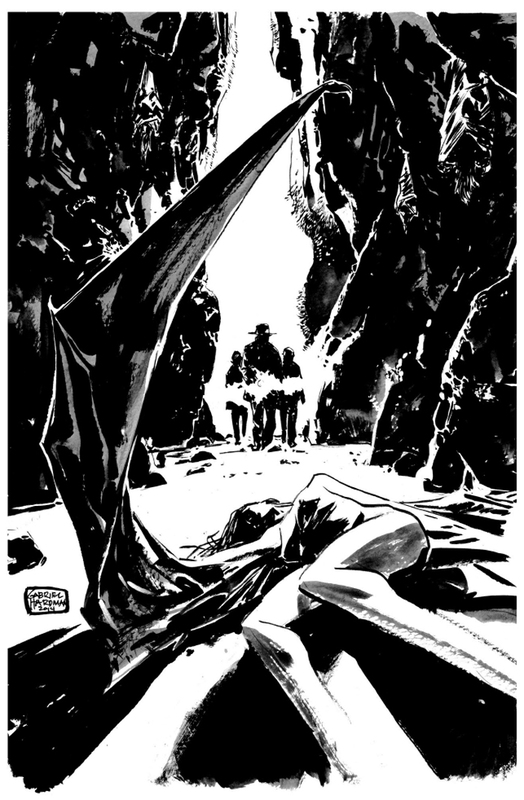 For Hardman, it all began with a sketch of a vampire woman with silky wings sprawled inside a dank cavern. That haunting drawing led to this strange and lyrical story. Hardman runs with dream logic and gives us quite a number of compelling visuals: an airliner crash-landing in a remote jungle, devilish winged figures, a spike jammed into an eyeball socket! Yes, it can get gruesome but this is stylish horror. For those of you into quirky comics, you are likely already fans of Gabriel Hardman (KINSKI, Star Wars Legacy) as well as his work teamed up with Corinna Sara Bechko (INVISIBLE REPUBLIC, HEATHENTOWN). This is an artist loaded with wit, vision, and endless energy. Hardman loves to draw as his expressive ink does attest! The initial sketch that set things in motion. “Fwip! Fwip! Fwip!” go the incredibly long batwings. There’s a deliciously uncompromising vibe to this comic. Right after the airliner crashing, because of those demonic wings getting in the way, co-pilot Bill is awakened by flight attendant Janet. All the passengers have been accounted for. But what about Captain Anders? Well, er, he’s alive except…there’s a stake through his eye. Then there’s a beautifully surreal transition…Bill is running through the wild jungle and falls, as into a rabbit hole, except it’s a huge cave full of humanoid bats. Bill lands with a tremendous thud. He’s been stripped bare. All the other passengers are naked as well. And from there the screws are turned tighter and a splendid nightmare spreads out in full bloom. THE BELFRY will prove to be a great new addition to your comics reading so make a note of it as this one is a month away. And, if you haven’t been following Hardman, seek him out. A good place to start is the ongoing series, INVISIBLE REPUBLIC, to which I provide a review right here. THE BELFRY one-shot issue is available as of February 22, 2017. For more details, visit Image Comics right here.